Multitalented entertainer, powerhouse vocalist, master of gags… and now, Seo Eunkwang of K-pop boy band BTOB can add F&B boss to his list of credentials. The 27-year-old is the proud co-owner of PLUSEIGHTTWO, a new Korean dessert cafe that has just opened its doors on 19 January. Located at the first floor of Rendezvous Hotel, PLUSEIGHTTWO is named after the dialling code for South Korea and serves your usual brunch suspects of fancy toasts and coffee, along with gorgeously-plated Siltarae Bingsu flavours (Korean shaved ice) such as choco, matcha and banana. We’re obsessed with the minimalist vibes of this quaint hideout – all crisp white walls, quintessential white marble tables and delicate pops of greenery that make this place super Instagram-worthy at every turn. The BTOB member himself was also present for the media preview yesterday, so who knows… you might just bump into him at the cafe or spot him casually hanging out on the streets. Singapore Melodies, you know what to do! PLUSEIGHTTWO is located at 9 Bras Basah Road, Rendezvous Gallery #01-02, Singapore 189559. This time last year, fans of Camila Cabello were reeling over her departure from Fifth Harmony only one month prior. But with her breakthrough solo single ‘Havana’ topping every music chart in existence and her self-titled debut album hitting #1 in 100 countries within the first week of its debut, there’s no doubt that she’s indeed Miss Moving On. Initially titled The Hurting. The Healing. The Loving., the ‘Havana’ songstress made the decision to rename the album to Camila. “I decided to call it by my name, because this is where this chapter in my life ended. It started with somebody else’s story, it ended with me finding my way back to myself,” she wrote. And it’s with this immense sense of self-empowerment that she goes about belting out her new songs, leaving thrilled and thoroughly obsessed with every track. Camila kicks off her record with the slow but electrifying ballad ‘Never Be the Same’, giving listeners a taste of her distinct voice as a R&B goddess — a far cry from her Fifth Harmony days. She considers this the best song she’s written so far and fans went wild when she uploaded a nostalgic music video as a “New Year’s Eve gift”. 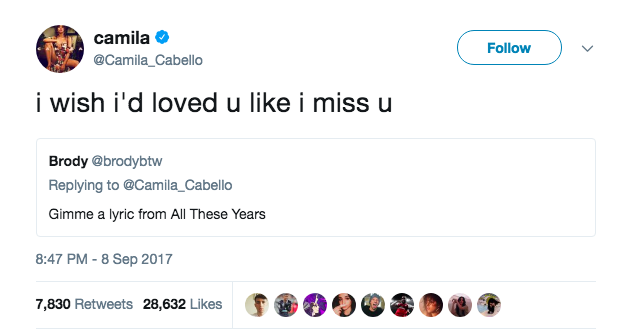 One thing’s for sure, after jamming to this hit, we know we’ll ‘Never Be The Same’. Featuring dreamy acoustics and soothing vocals, ‘All These Years’ is Camila’s favourite tune in the album. The singer has admitted that she was nervous to share this track because “it’s really personal” but released it anyway, and fans are hanging on to every word she croons in this bittersweet ballad. “And it was just a quick hello, and you had to go / And you probably will never know, you’re still the one I’m after all these years,” she sings on the chance encounter with her former flame. The perfect fusion of R&B and good ol’ pop, ‘She Loves Control’ is an empowering number featuring electronic dance music producer, Skrillex. Camila admits to being a control freak over creative issues and wants girls to feel empowered when they sing along to the groovy track. “I just love the idea of girls singing the lyrics like that. I feel like it’s a bold statement to make and it’s good way to live your life, to have control of how you do it, how you live it.” In an attempt to regain control of her own life, Camila renamed her album – stripping power from anyone in her way and taking full ownership of her artistic vision. A nod to her Cuban heritage, ‘Havana’ incorporates elements of Latin and reggae music to appeal to the listeners. We’re all familiar with this inescapable track and even the former US President Obama is impressed – naming ‘Havana’ as one of his favourite songs of 2017. It’s been a good five months since ‘Havana’ took over the airwaves, but we just can’t help but go “Havana oh na na” every single time. The cheery reggaeton tune has got us vibing and bopping along to ‘Inside Out’. An ode to her hometowns, Camila sassily sings “de Miami a México, esta cosa se prendió (from Miami to Mexico, this thing caught on)”, highlighting her Mexican roots while reminiscing her childhood in Florida. Camila bravely showcases her fragility in ‘Consequences’, a profoundly personal tune on heartbreak and sorrow. Unlike her display of boldness in previous tracks like ‘Havana’, the singer opens up to fans about mistrust and the effect a broken relationship had on her, even admitting that she “lost a little weight because (she) wasn’t eating”. She shares the ups and downs of her past romance as her tear-jerking anthem takes a turn from the optimistic “young, and wild, and free” and “cool, and hot, and sweet”, to a bleak “dumb, dark, and cheap” – taking us on a rollercoaster of emotions. ‘Real Friends’ is an introspective track on Camila’s life as she relates her struggles in finding genuine friends. In this acoustic ballad, Camila tells all about the superficial nature of the industry. While many believe that she could be referring to Fifth Harmony, she was quick to dismiss those rumours, clarifying that the song is about “feeling lonely and disillusioned by people in LA while [she] was away from home”. Originally titled ‘A Good Reason To Go’, the former Fifth Harmony member pours her heart out on her reasons for leaving the fivesome in this heartfelt number. Upon the release of her debut album, she explained that expressing her desire to do more solo projects and write songs for the group sparked tensions and how she eventually decided to make the painful decision to call it quits. As opposed to ‘Real Friends’ where Camila expresses her desire for true friendships, she’s encouraging her muse (and fans) to be true to themselves. She asks: “Who are you in the dark? / Who are you when it’s 3am and you’re all alone and L.A. doesn’t feel like home?”, coaxing him to “show [her] the scary parts” in her smooth R&B track ‘In the Dark’. Deemed the “real gem” of the record by critics, this addictive banger presents the playful side of Camila as she sings “Whatever trouble that you’re thinking, I could get into it”. Needless to say, we’re really ‘Into It’. The euphoric tune is sure to get everyone dancing along to the beat — we couldn’t think of a better way to end off an epic album. Camila is now available for purchase and streaming. Interview: Which Girl Group Caught Super Junior's Eye Recently? When it comes to K-pop, nothing really beats the golden era during the early 2000s where second-generation groups like DBSK, Girls’ Generation and Super Junior reigned supreme. 13 years down the road, the SM supergroup of ‘Sorry Sorry’ fame is still at the top of the game and they show no signs of fizzling out. The latest instalment of their long-running Super Show series is proof – tickets to their first two days in Seoul were all sold out in less than nine minutes, which makes us even more excited for their concert here. Ahead of the upcoming Super Show 7 (SS7) in Singapore on 27 January, the boys recently took time out for an email interview with us where they talked about their touring memories, plans for the future and more. Having been in the industry for over a decade now, what are some sacrifices you’ve had to make for your music career? Heechul: For these days, I don’t think there’s a sacrifice only from us. I think everybody including the members and our ELFs all make sacrifices for one another and love each other. While Super Junior has always been known for your bright image, were there times when you felt down? Heechul: I suffered an accident 11 years ago, so my body condition was badly affected because of the repercussions. I felt really discouraged as I couldn’t even walk and run well. But now, I’m standing here on the concert stage performing for ELFs because they never fail to cheer me up. Of course, I would also like to show them that I am a professional. Are there any new idol groups that have caught your eye recently? Heechul: I am not sure if the Singapore fans know them, but I would like to give a shoutout to my students from Mnet’s Idol School whom I actually guided and feel responsible for. The girls have recently debuted as fromis and I hope nothing but the best for them. We just had to ask – which member looks best in a ‘Black Suit’? Heechul: I’m pretty sure I’m not the one, because I think I would suit casual outfits more! As the first K-pop group to star on a home shopping channel, can Super Junior promote SS7 in home shopping style? Yesung: We invite you to a new unpredictable world! You can find feelings from joy to anger, sorrow to pleasure – all at SS7. What was the most embarrassing thing that has happened to you during Super Show? Finally, what are your plans for the year ahead? Yesung: In 2018, we would like to go on a new adventure to meet fans from all around the world through SS7. 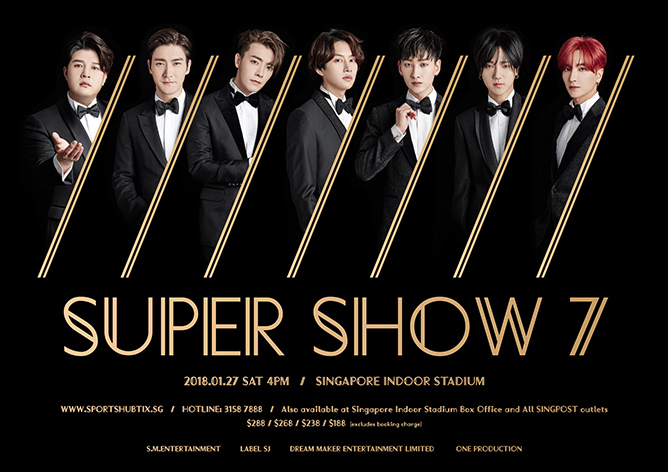 You’ve heard ’em – don’t miss your chance to catch Super Junior at Super Show 7 in Singapore on 27 January 2018 at the Singapore Indoor Stadium. Tickets are selling fast, so be sure to grab them before they’re all gone! You Can Now Binge-Watch All Your Favourite K-Dramas On Viu For Free! With the rainy season in full swing, there’s nothing like snuggling under the covers and binge-watching to your heart’s content. To help you get through the gloomy blues, Viu’s offering the perfect opportunity for K-drama fanatics to laze in and marathon during the weekends. In celebration of its second anniversary, you can now enjoy complimentary access to all your favourite shows available on the streaming service – from now till 17 January 2018, 11.59pm. Here are some of the best titles to watch right now. 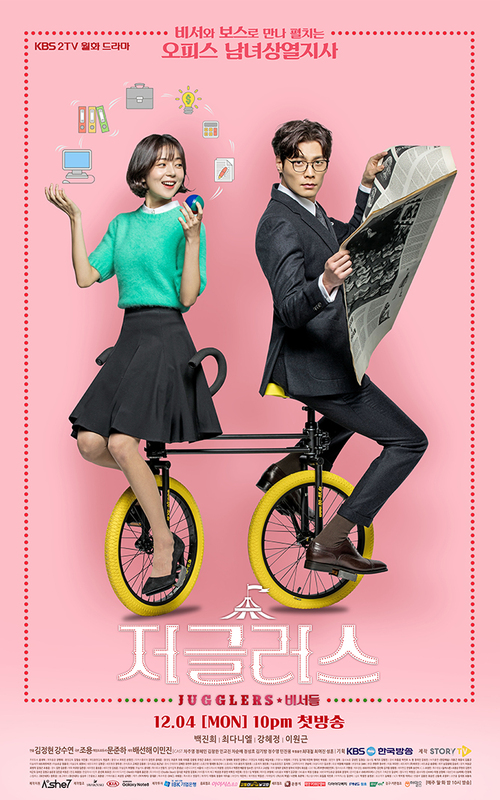 Cha Dong Tak (Jo Jung Suk) is an old-fashioned detective in pursuit of justice; Song Ji An (Lee Hye Ri) is a newbie reporter who’s determined to deliver exclusive scoops. Put the two polar opposites together and an unlikely romance ensues. Don’t dismiss it as just another human-falls-in-love-with-a-robot trope – this story is about a man named Kim Min Kyu (Yoo Seung Ho) who lives in isolation due to a severe allergy to humans, in which even the slightest touch can cause him to develop rashes all over his body. 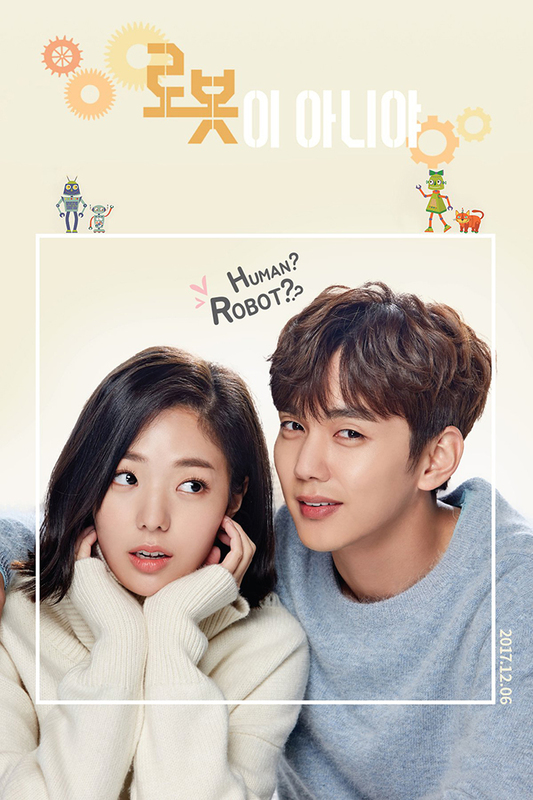 Enter Jo Ji Ah (Chae Soo Bin), an ordinary girl who comes into his life pretending to be a robot. 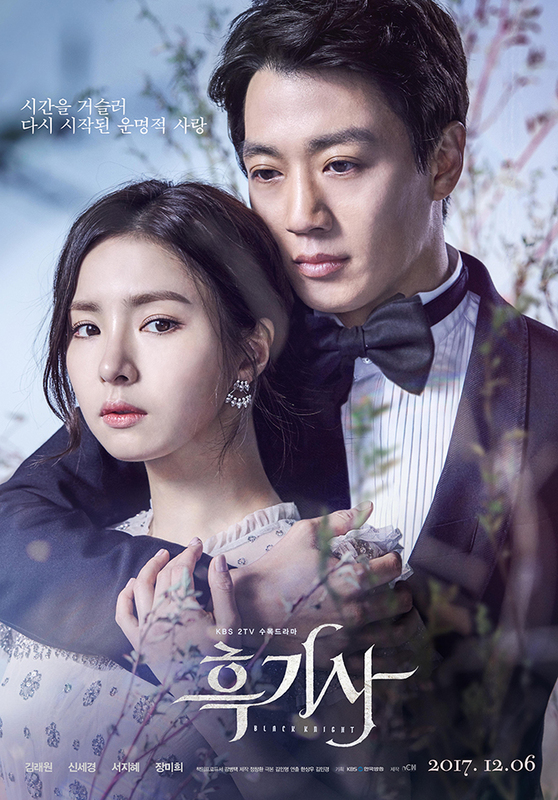 Moon Soo Ho (Kim Rae Won) is your typical successful businessman who’s a romantic at heart, and would do anything for the one he loves – aka a struggling employee of a travel agency named Jung Hae Ra (Shin Se Kyung) who’s always prone to misfortunes. And it’s up to her black knight to protect her from danger. A woman with a passive attitude by the name of Jwa Yoon Yi (Baek Jin Hee), meets a high and mighty company director called Nam Chi Won (Daniel Choi) who doesn’t believe in relationships due to a traumatic past. Time travelling mayhem, giant fighting robots and talking dogs – oh my! From hotly-anticipated sequels of Pacific Rim and Deadpool, to exciting remakes of A Wrinkle In Time and Death Wish, we give you the rundown of the biggest movies to watch out for in the first half of 2018. What is it about? The first movie saw the Maze Runner ensemble fighting for their lives to leave the monster-ridden maze, but now they’re breaking into another dangerous labyrinth. Going against a maze deadlier than the one they escaped from, will Thomas and his fellow Gladers be able to rescue their friends from Ana Paige and find the answers they seek? Why should you watch it? After an almost three-year wait, fans of the dystopian saga can finally get the closure they’ve been looking for in this epic finale. And from the looks of the Mad Max-esque trailer, we’re in for some serious high-octane action. What is it about? After losing his father in Captain America: Civil War, T’Challa is now warrior and king of Wakanda, an isolated African nation. Before he even has time to get accustomed to his new roles, old enemies reappear to test his capabilities and threaten to destroy his home. Will Black Panther be able to balance his heroic duties to victory, or will it end in tragedy for the people of Wakanda? Why should you watch it? We got a brief preview of Black Panther in previous Marvel installments, and now we finally get to see the full potential of his powers. The trailer promises action-packed scenes as well, which makes this new character a highly-anticipated welcome to the franchise. What is it about? Meg’s father was a scientist who discovered a new concept of time and space known as the 5th dimension. While exploring the new world, he became imprisoned by a dark force on another planet. Now it’s up to Meg, her younger brother Charles and good friend Calvin to rescue him. However, it soon becomes clear that the team’s mission isn’t just to save their father – the choices they make will determine the fate of the entire universe. Why should you watch it? Aside from the all-star cast, we love how this film has all the feel-good magic reminiscent of our childhood days: time travelling, a giant flying creature and magical fairies. Expect this Disney flick to take you on a whimsical journey! What is it about? With the police swarmed with unsolved crimes, the attack on Paul Kersey’s family becomes another throwaway case. Forced to find the perpetrators on his own, Paul takes justice into his own hands. Soon, he is hailed as Chicago’s hero for annihilating thugs that torment the innocent, but will he succeed in avenging his family? Why should you watch it? Even though the plot seems all too familiar – loving father turned badass vigilante – there’s something about an unlikely hero clad in nothing but slacks that makes the storyline feel refreshing. What is it about? When the monstrous creatures known as Kaijus began tormenting Planet Earth, Jaegers – giant robots controlled by two spiritually connected people – were invented to combat them. Previously, Stacker Pentecost led the team and sacrificed his life to defeat the Kaiju threat for good, or so we thought. The monsters are back with a bigger and stronger wave of attacks, and it’s now up to Jake Pentecost, son of the late Stacker, and his adopted sister Mako Mori to save the world from extinction. Why should you watch it? Thrilling combat scenes paired with heavy robot action from the first movie are enough to get our adrenaline pumping, but the Jaegers have more tricks up their sleeves this time. It’s time to cancel the apocalypse! What is it about? After a decade’s worth of cinematic build up, the giant blockbuster will see the Avengers joining forces with Guardians of the Galaxy for what’s gearing up to be the most epic battle against cosmic warlord Thanos. Why should you watch it? It’s not everyday you get to see Black Widow, Black Panther, Spider-Man, Ant-Man and a host of Marvel superheroes appearing all at the same time in a movie. And with many cast members nearing contract expiration, this might be the last time you’ll get to see your favourite characters on the big screen. Why should you watch it? Wes Anderson films are well-known for their artistic appeal and intricate storylines, so you can anticipate further underlying stories weaved into this stop-motion masterpiece. Oh, talking dogs anybody? What is it about? In the untitled film, our snarky anti-hero finds himself struggling to fulfil his dreams of becoming the hottest bartender in town after losing his sense of taste. Hoping to regain his spice for life, he goes on a journey of self-discovery while braving ninjas and aggressive canines along the way. Why should you watch it? When you drop a Bob Ross painting parody instead of an actual movie trailer, you know it’s gonna be good. Don’t be too quick to take your eyes off the teaser clip however – cue fleeting scenes of fire explosions, blazing guns and Deadpool popping out of a coffin in a 10-second montage. Blink and you’ll miss it!